As the second hand ticked closer to noon, the statutory deadline to take action on measures passed by the New Mexico Legislature, Gov. Susana Martinez signed a comprehensive bill to protect the property of innocent individuals by ending civil asset forfeiture in the Land of Enchantment. HB 560, introduced by Rep. Zachary Cook (R-Ruidoso), prohibits civil asset forfeiture, a pernicious tool used by law enforcement that, too often, involves the taking of property believed to be used in a crime from innocent people. The bill is grounded in the constitutional principles in which every conservative and libertarian believes -- due process, private property rights, and the presumption of innocence. It requires a criminal conviction before property believed to be used in an illicit activity can be forfeited to the state, removes the perverse profit motive behind seizures by directing proceeds to the state’s general fund, and prohibits the transfer of seized property to federal agencies for adoption. Though the bill unanimously passed a politically divided legislature, where Republicans control the House and Democrats run the Senate, this outcome wasn't a slam dunk. Gov. Martinez, a former prosecutor understandably sensitive to the concerns of law enforcement, was initially silent about the fate of HB 560, though the rumor was she was leaning towards letting the clock run out on the bill, with the end result being a pocket veto. At the end of March, when FreedomWorks heard Gov. Martinez was planning this course, we mobilized our liberty-loving grassroots community with an aggressive campaign to drive calls to the governor’s office urging her to sign HB 560 into law. In little more than a week, dedicated activists concerned about abuse of civil asset forfeiture inundated the governor's office, making nearly 5,000 phone calls. The result of your phone calls is Gov. Martinez's signature on HB 560 and the strongest protection of private property in the country. New Mexico is now a national leader on this issue and a model for other states to follow. 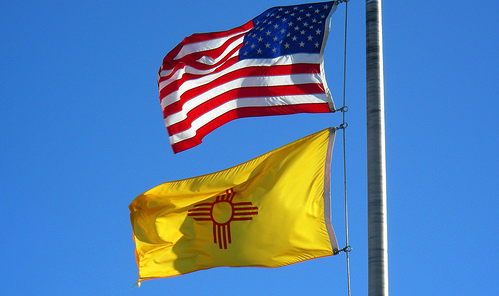 It's a great and historic day for New Mexico and the FreedomWorks activist community. Without your dedication and your calls, the outcome would have been much different. But we're just getting started. There are similar bills pending in other state legislatures that would either eliminate civil asset forfeiture or require a higher standard of proof before the government can seize private property. Virginia, for example, will consider an amendment to SB 721 that would eliminate civil asset forfeiture. One of the main roadblocks to this protection innocent individuals' property is Senate Majority Leader Tommy Norment (R-James City), who helped kill the original proposal in committee. And in Congress, Sen. Rand Paul (R-KY) has introduced the Fifth Amendment Integrity Restoration (FAIR) Act. This bill, which is cosponsored by Sen. Mike Lee (R-UT), would restore due process, placing the burden of proof on government to justify seizures and remove the profit motive behind them by directing proceeds of forfeited property to the general fund. We've scored a great and important victory for individual liberty in New Mexico, but we still have a lot of work ahead to rein in abuse of civil asset forfeiture and restore the Fifth Amendment. On behalf of FreedomWorks’ activist community, I urge you to contact your representative and strongly encourage him or her to cosponsor the Deterring Undue Enforcement by Protecting Rights of Citizens from Excessive Searches and Seizures (DUE PROCESS) Act, H.R. 1795, introduced by Rep. Jim Sensenbrenner (R-Wis.). The DUE PROCESS Act includes changes to federal forfeiture laws that fail to protect innocent Americans. In a recent statement on behalf of the US Supreme Court, Supreme Court Justice Clarence Thomas critiqued civil asset forfeiture and the abuses it has seen over the past several issues. In that statement, Justice Thomas said, “This system-where police can seize property with limited judicial oversight and retain it for their own use-has led to egregious and well-chronicled abuses.” The statement comes at a time when civil asset forfeiture, or the lawful seizure of assets from individuals without due process, has gained much more attention in the modern day as calls for reform have increased. On behalf of our activist community, I urge you to contact your senators and representatives and ask them to cosponsor the Fifth Amendment Integrity Restoration (FAIR) Act, S. 642 and H.R. 1555, introduced by Sen. Rand Paul (R-Ky.) and Rep. Tim Walberg (R-Mich.). The FAIR Act would reform federal civil asset forfeiture laws to increase the evidentiary standard needed to subject property to permanent seizure and restore the presumption of innocence in federal civil forfeiture proceedings. The Atlanta Journal-Constitution has a blog post up today with a headline which reads: "Forfeiture: Georgia was once one of the worst. Now? It’s not so bad." Sounds great. When did the Georgia General Assembly pass legislation to improve the forfeiture law in the state by requiring more protections for innocent property owners? Well, it hasn't. On behalf of FreedomWorks’ activist community in Texas, I urge you to contact your senators and urge him or her to support SB 380, introduced by State Sen. Konni Burton (R-Ft. Worth), which would reform the Lone Star State’s civil asset forfeiture laws.